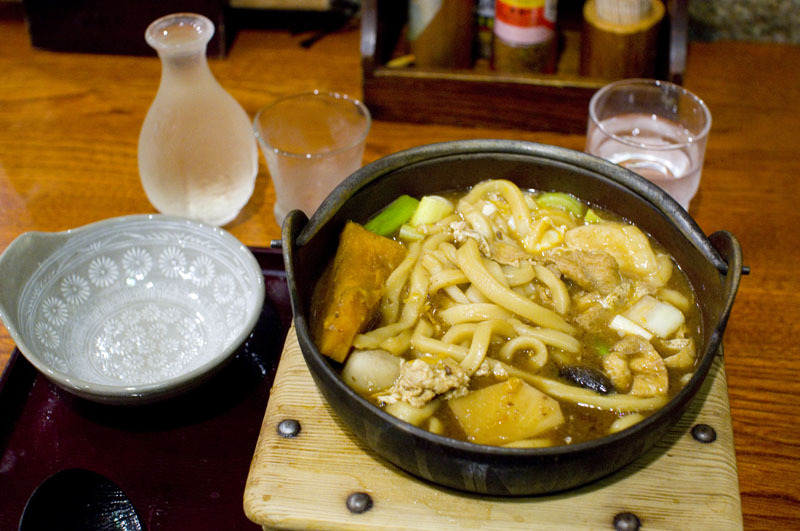 Houtou is a hearty winter udon-noodle dish from the mountainous Kofu area of Yamanashi Prefecture, and this is one of the few places in Tokyo where you can find it. The houtou served here is quite substantial, loaded with chunks of chicken, pumpkin, leeks, mushrooms and other vegetables in a thick broth - a filling meal for just Y1000. 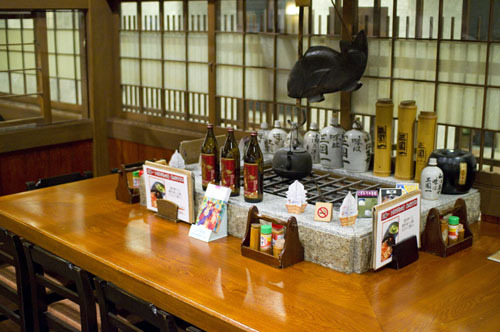 Sangokuichi also offers a couple dozen other types of udon, including oddball "salad udon" bowls such as tuna salad and tomato salad. 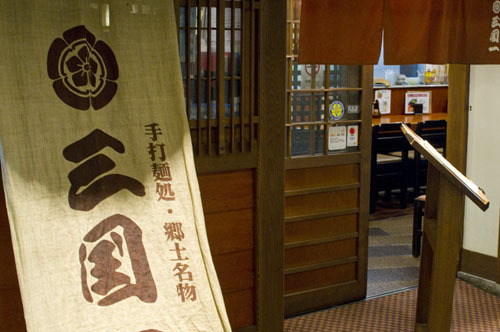 Drinks include a dozen different shochu and seven craft sakes (although these aren't listed on the English menu). 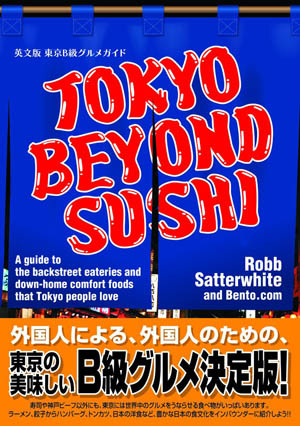 There's also a good amount of izakaya fare - sashimi, grilled fish and side dishes - if you want more than just noodles. Shinjuku-ku, Nishi-Shinjuku 6-5-1, I-Land Tower B1F.